Versatile adjustment and realization of motion. Motions: slides forwards and backwards, to the right and left, and is able to rotate or revolve in a fanlike way. 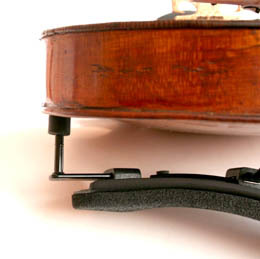 The support plate is the pivotal point for movements to the right or left. 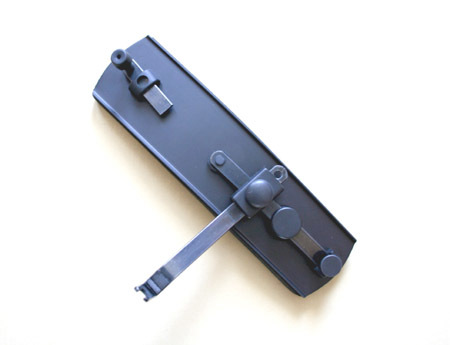 The buffering pin's position and length are adjustable. 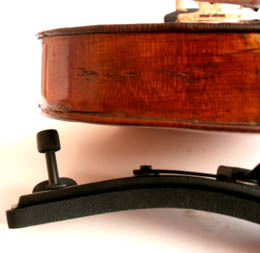 The shoulder rest's weight for a middle size is 112 grams.